The more we grow, the more we acknowledge all the efforts our mums have put into making us happy. A pleasant home, good food, an education, kind words – you can’t really count all the amazing things they did for us, and all the sacrifices they so gracefully made. Although we should be thankful to them every single day, we’ve got at least one special, designated holiday as a reminder: Mother’s Day. This is the one day we get to put everything aside and focus on motherhood – plus we get to make some thoughtful gifts, too! 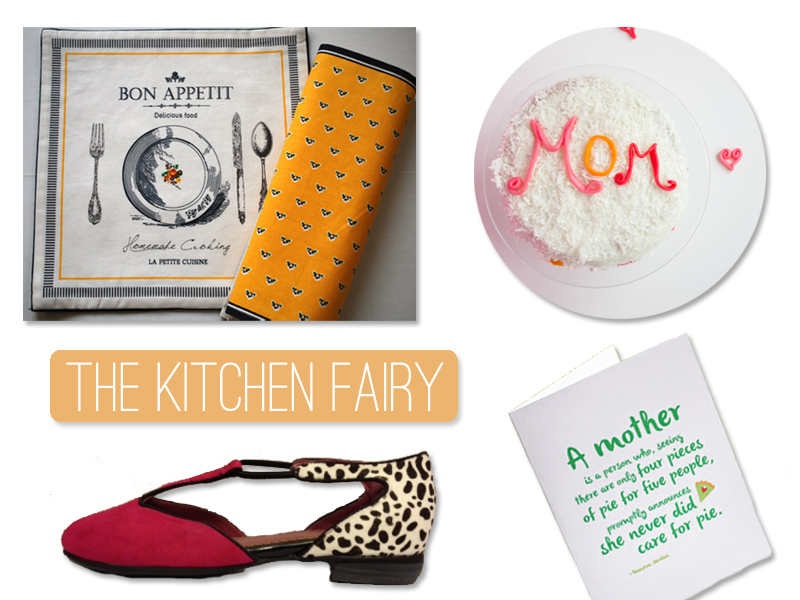 We crafted a gift guide to match your mum’s personality. Not that she’d fit into a single category – chances are she’s a fashionista, a kitchen fairy, a workaholic and an adventurer all at once! Your mum is a fashionista if you’re jealous of her wardrobe way past kids dress-up games. And since it’s her we’re celebrating, why not feed her passion? 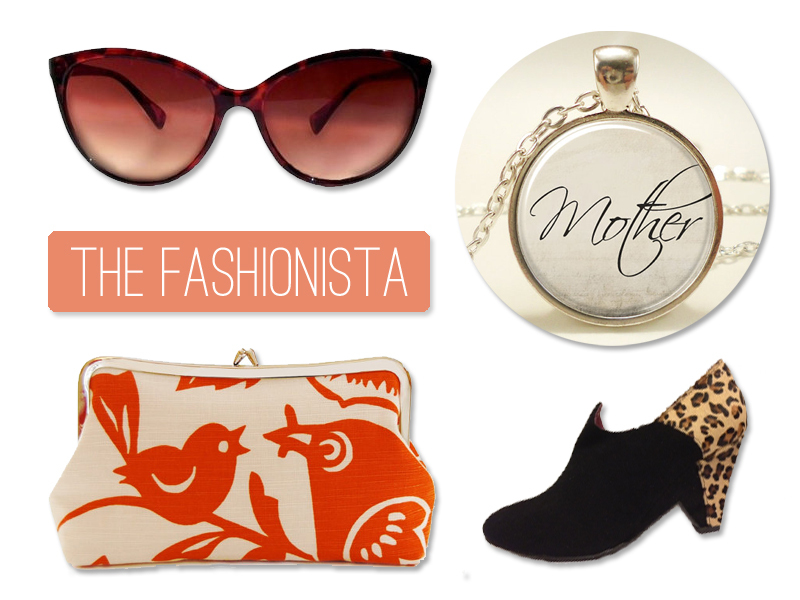 Accessories are the way to go here – protective sunglasses, a custom necklace that shows how much you care, a cute clutch to put a smile on her face, or stylish mid heel booties that she can wear through the winter! This woman clearly works too much! Pamper her with a pretty floral banner reading “Take a break. It’s Mother’s Day” and don’t forget to write her a thoughtful card. 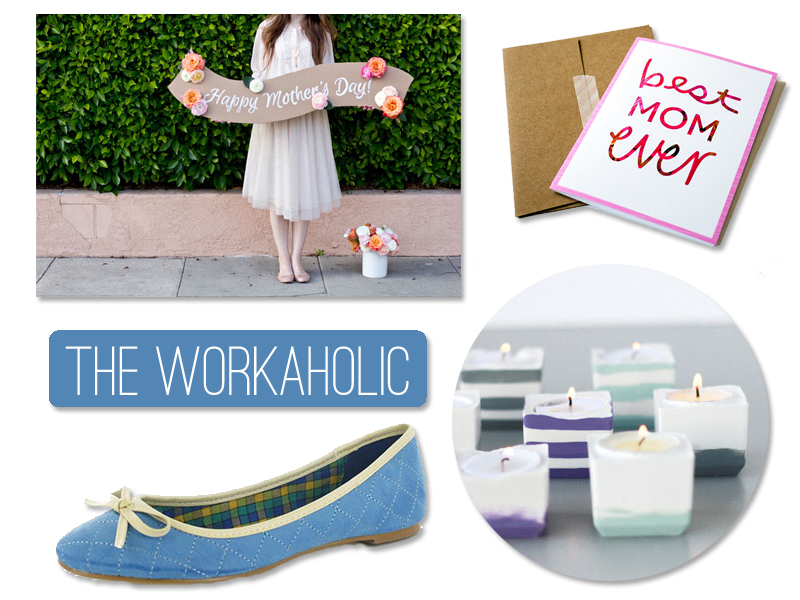 Buy her a pair of comfortable flats to replace her usual office shoes, and allow her to relax with a pretty candle set that you make especially for her. “A mother is a person who, seeing there are only four pieces of pie for five people, promptly announces she never did care for pie.” Couldn’t agree more! You can print that on a card as a sign of appreciation, and for once, you can take baking off her hands and make a really pretty cake. Other suggestions are the reversible placemats that will get so much use in the kitchen, or the stylish flats for the person who spends so much time standing up. If you’ve got the traveler’s gene in your family, your mum will embark on any adventure that comes along! 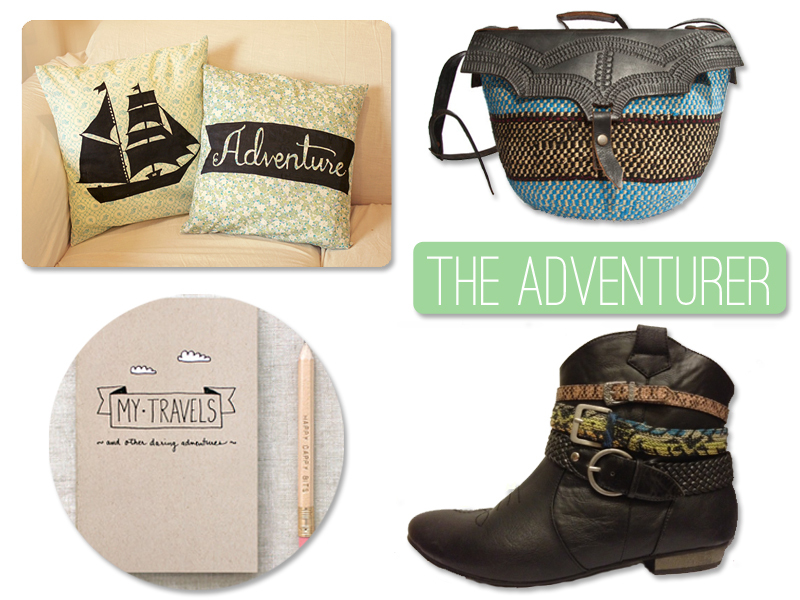 A pair of sturdy, fashionable boots will be of great aid, and the same for a crossbody carry-all bag. If you want to tickle her fancy even when she’s at home, a set of custom DIY pillows is a great solution. And who wouldn’t love a handmade notebook to put down travel tips? This entry was posted in Fashion, Shoes, Uncategorized and tagged clothing, home, Mother's Day gift guide, shopping, style by moribrown. Bookmark the permalink.